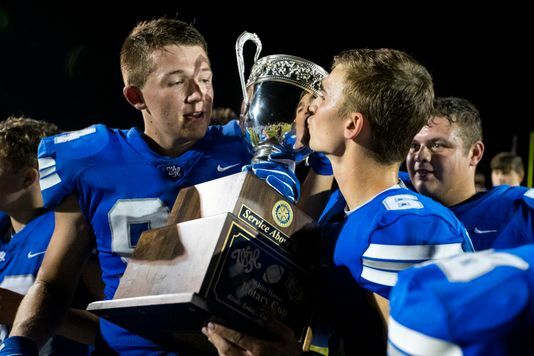 Andrew Nixon with the Rotary Cup along with teammates Ethan Ring and Levi Ledbetter after an earlier season victory over White House Heritage. Nixon was named POTW for week 10. 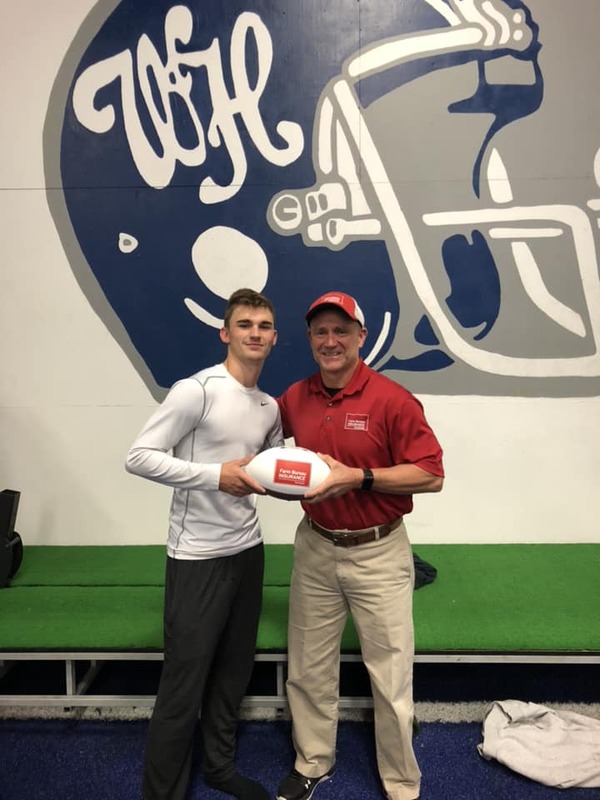 WHITE HOUSE – Senior quarterback Andrew Nixon was named the Farm Bureau Player of the Week for week 10’s 34-23 loss at Montgomery Central. Nixon completed 5-of-16 passes for 46 yards and a touchdown, and rushed 16 times for 103 yards and a touchdown, including six times for a first down, in the loss. For the season, he ended the year with 63-of-138 passes completed for 1,052 yards with 12 touchdowns and seven interceptions, and rushed 58 times for 241 yards and seven touchdowns. He was second on the team in scoring with 44 points. Nixon was presented a game ball from Tal Plumlee of Farm Bureau of Tennessee in White House on Monday, October 22, 2018.